Off-road motorcycle riding is any kind of riding that occurs off of paved highways and streets. In general, off-roading takes place on rugged terrain such as dirt roads and trails. Not only does off-roading offer a fun alternative to street riding, because of the varied terrain it also hones the skills of the rider. 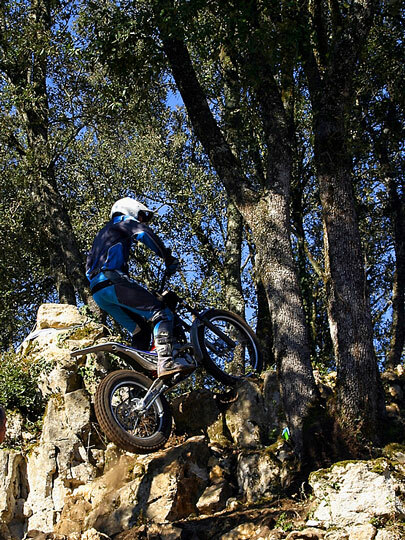 Because balance is crucial to off-roading, the posture of the rider is extremely important. 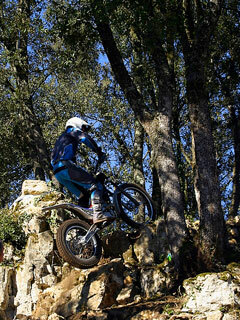 Dirt bikes are relatively light, so riders must use their bodies in order to navigate them over bumps, rocks, and dips. For the most part, a neutral body position is best. The weight of the rider's body should be directly centered over the saddle of the bike. That means that weight should be shifted slightly forward when going uphill, while the rider's weight should be transferred to the rear when going downhill. 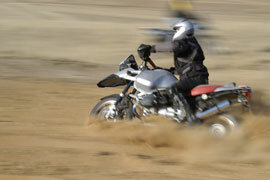 Throttle control — shifting upward and downward — is also an important skill for off-road motorcyclists to master. 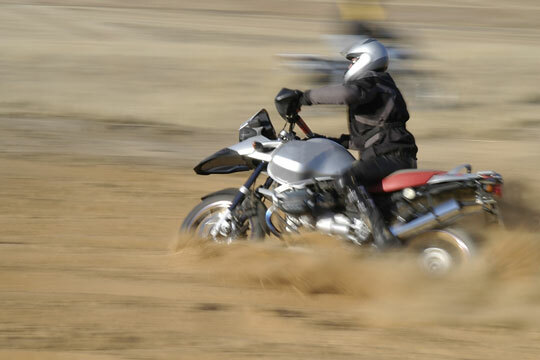 When all is said and done, how a rider navigates the terrain by using his or her weight and throttle control will determine how successful his or her off-roading experience is. Learning how to deal with obstacles such as rocks, logs, boulders, and roots is another important skill that every off-road rider must possess. Unless the rider is experienced, he or she should keep their eyes on the terrain ahead and should avoid these obstacles. If an obstacle is hit by mistake, the rider should attempt to use his or her weight to correct the course of the bike. 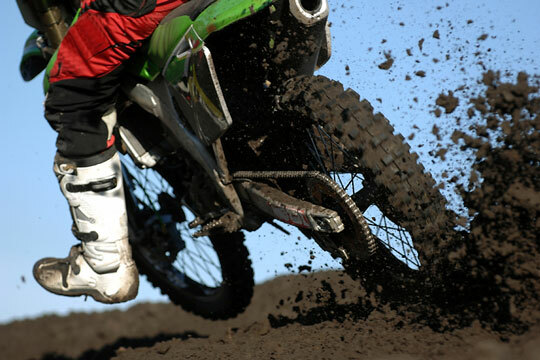 Off-road riders generally divide terrain into three main categories: sand, water and mud, and rocks. All these types of terrain result in low-traction riding. Riding in low-traction situations requires a great amount of skill, as regaining traction too abruptly can cause the dirt bike to pitch in the opposite direction. Smooth throttle control once again comes into play here, as correct throttle use will allow you to regain traction at just the right rate. While each type of terrain is considered low traction, each one will require a slightly different riding technique. Riding through sand, for example, can feel as if you're riding through a thick liquid. The key is to remain relaxed and to increase your speed enough so that the tires of the bike are "hydroplaning" on the sand. If you slow down, the tires will sink, and you risk falling. Riding in water and mud is most likely the most slippery off-road experience. The key is to ride slowly, and to be on alert for unseen obstacles that you might encounter under water. Riders should avoid water until they have mastered the skills of smooth throttling and braking. Riders who encounter mud should allow their tires to follow any ruts, while at the same time maintaining forward momentum. The technique for riding on rocks is similar to that of riding on sand. In other words, the rider should maintain a steady speed, concentrating on smooth throttling and braking. You will not need to go as fast on rocks as you do on sand to maintain your momentum. For information about off-roading trails for dirt bikes, ATVs, and SUVs, visit this ATV Trails website. For an impressive example of off-roading on a mountain ridge, view this dirt biking video.